Americarpet: Dry Cleaning is the preferred and the best recommended method for cleaning Commercial Carpet Tile. Dry Cleaning is the preferred and the best recommended method for cleaning Commercial Carpet Tile. Carpet Tile is best cleaned using a Dry Cleaning System with cleaning powder. 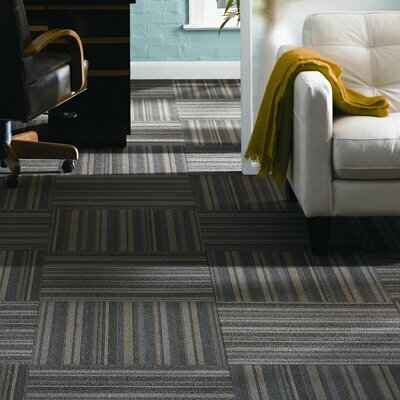 Carpet Tiles are usually 24"x24" pieces of carpet glued together with pressure sensitive glue in which water can penetrate if steam cleaning system is used and this will cause moisture and water coming between tiles and breaking the glue as a result carpet tile can loosen, move around and create spaces among carpet tiles and cause installation failure. Our Dry Cleaning is a 3 Step Process. First, a dry detergent is applied and all soil and other contaminants are loosened, then stains are cleaned with a special spot remover which will not leave detergent residual. Second, a machine with brushes is used to remove dirt and clean the carpet tile with the powder and vaccumm. The third and final step is to add Scotchguard to the Carpet Tile.